Last week I discussed using guests, tourists if you will, as part of photos in crowded travel destinations. I know, many do not like to see other people in their vacation photos. You can take some of those photos and crop out distracting subjects, like people. You could do this while you are photographing by checking your LCD screen and retaking the photo to eliminate any people. Sometimes it is not an option or hard to tell in those small camera screens. Here is an example from a photo I took of Spaceship Earth in Epcot at Walt Disney World in Orlando, Florida. Truly a place where you will encounter crowds. I decided I would like to see this photo without the people you see underneath the attraction. The Leave A Legacy granite structures are a bit overwhelming, too. Tourists are framed between Leave A Legacy structures near Spaceship Earth. Nikon D700/28-300VR, 1/80s, f/9, ISO 200, EV +0.3, 28mm focal length. A little cropping of the photo and, using the Rule of Thirds, I came up with the version below. I like how Spaceship Earth is now the dominate subject and it is set off by the blue sky and clouds above with the Leave A Legacy tops below. 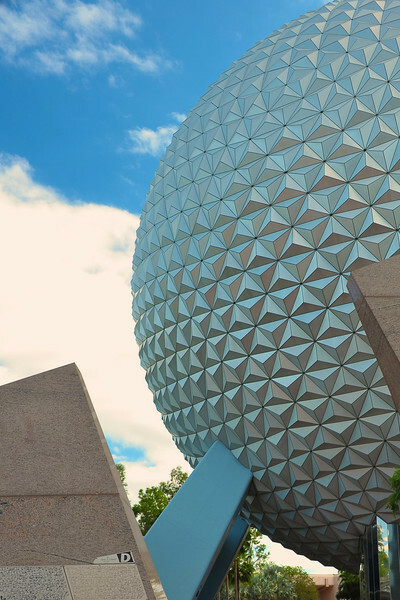 Cropped version without the tourists of Spaceship Earth in Epcot. Nikon D700/28-300VR, 1/80s, f/9, ISO 200, EV +0.3, 28mm focal length. It is best to “crop” in camera as you get the best quality image, if possible, cropping in post-production is still a very useful tool to create your vision. 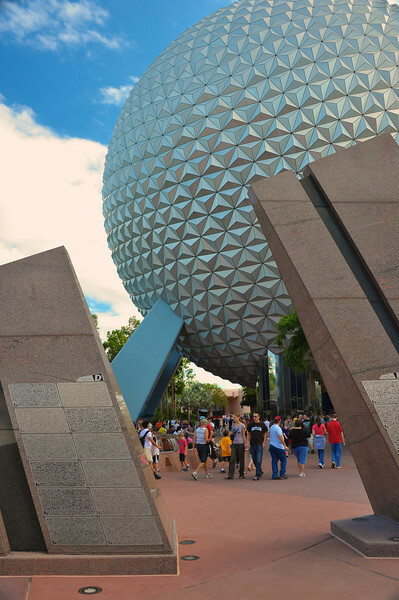 I do like how the people are framed between the Leave A Legacy “monoliths” and Spaceship Earth in the first photo. Both photos are winners in my book. What do you think? This entry was posted in Photography, Travel and tagged 28-300mm, crop, epcot, florida, guests, nikon D700, orlando, spaceship earth, tourists, vr, walt disney world. Bookmark the permalink. I think both photos work. But I really like the first one, the tourists on the photo help enhance the sense of scale of those massive structures. Thank you, Gracie. I do like them both and tend to enjoy people in travel photos better. Ah, that’s right, I did find your family there. It was interesting locating them, too. I think it was on one on the other side from these. I like the first better, it does show the scale of the Spaceship Earth. If I had took both shots, I would print both.